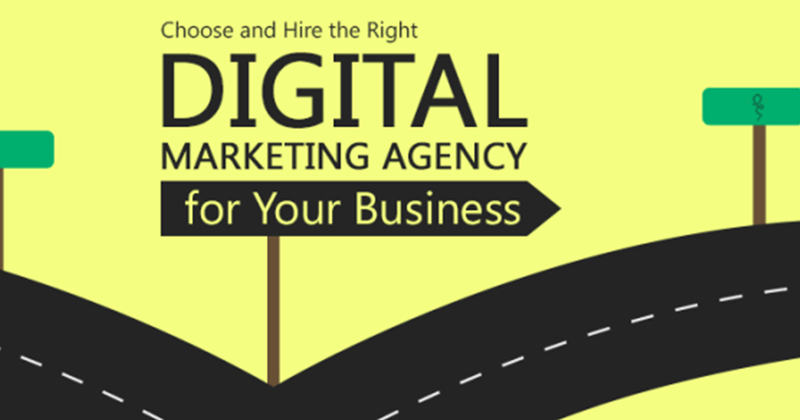 How to Choose a Digital Marketing Agency - ads! How to Choose a Digital Marketing Agency - ads! 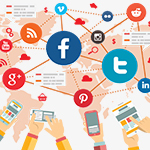 Digital marketing is essential to the marketing strategy of any 21st century business. 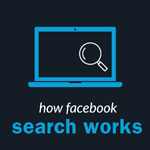 Without a strong online presence, it is very difficult for companies to find success. 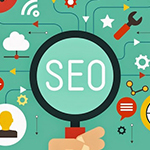 As more and more business is conducted online, and more potential customers search for products on the web, one needs to have a solid digital marketing presence and strategy in place. Advertising in the digital space is complex and involves a specific set of knowledge and tools to be conducted effectively. Luckily, there are professionals out there to get your company’s digital marketing efforts on the right track. For this reason, finding a great digital marketing agency is an important business decision. They will help define your online presence and ensure that your target audience finds your website. With so many different digital marketing agencies out there, it can be hard to pick one. The right agency could generate ample revenue for your business, give you peace of mind by handling everything for you, and allow you to avoid the cost of setting up a team in-house. 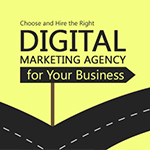 Here are top 6 tips to help you find the right digital marketing agency for your business. result will be a convoluted strategy. Instead, you should find an agency that can offer all of these services together. You will then be able to work with the agency to come up with a clear strategy that uses these different services to achieve your goals. Choosing a digital marketing agency that offers all of the services you need in one place will ensure the most successful marketing plan for your business. You might think bigger is better when it comes to a digital marketing agency, but the opposite is often the case. A smaller agency will have more time to put into account. You will receive a more personal experience with people who have the time to answer all of your questions and sit down with you for one-on-ones. A smaller company will also provide the opportunity for a more individualized approach than a bigger company who reuses a similar strategy for different clients. Another advantage to smaller companies is that you can be sure your company has access to senior expertise. Larger agencies are likely to hand off smaller accounts to junior teams that are less experienced. When you deal with a small agency, you can be sure that you have access to the most experienced people available. When choosing a digital marketing company, you should investigate their past clients. Reliable agencies will be able to provide you with past clients to provide references and talk about their experience with the agency. They will also be able to provide case studies and a portfolio demonstrating their abilities and successes. You should also look at reviews of the agencies, both on reviewing sites such as Google reviews and their own site. A reliable digital marketing agency will be able to prove their abilities and success through the testimony of past clients. In addition to positive client testimony, you should verify that your digital marketing agency has a proven track record of success. There are thousands of digital marketing agencies out there, some which have only been in business a short time. In order to ensure the best marketing plan, you should choose an agency with enough experience to have developed expertise in the field. Look for a company that has been around long enough to truly understand the industry in order to provide clients with the best experience and most successful marketing plans. In order to develop a successful marketing plan, you’ll need to choose an agency that understands your business. Make sure they listen to you and understand your goals. Choose a company that wants to help you develop your goals and achieve them, rather than telling you what your goals should be. A good digital marketing agency will listen to your needs and concerns and be able to clearly explain to you anything you don’t understand. When you choose a digital marketing agency, you should be sure to find one that you trust and that understands your business and its goals. When making business decisions, everyone is inclined to choose the option with the lowest price. However, in the case of digital marketing companies, they’re not all created equal. Therefore, it’s important to choose the company that will give you the best value for your money, rather than simply the lowest price. Find a company that offers the most services and the best expertise. You will get more value for your money when you can develop an expert marketing strategy using a wide variety of tactics. In the long run, this type of marketing strategy will be more successful and will help you gain more valuable customers. At Ads!, we provide our clients with quality services where we understand your company, your wants and needs, your goals and your ideas, and provide feedback and care for your company and campaign. 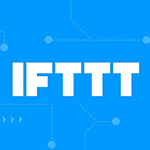 We help you generate leads and take your online presence to the next level!